Posted in: Radio Control, Team Associated. Tagged: New Releases, RC, Upgrades. 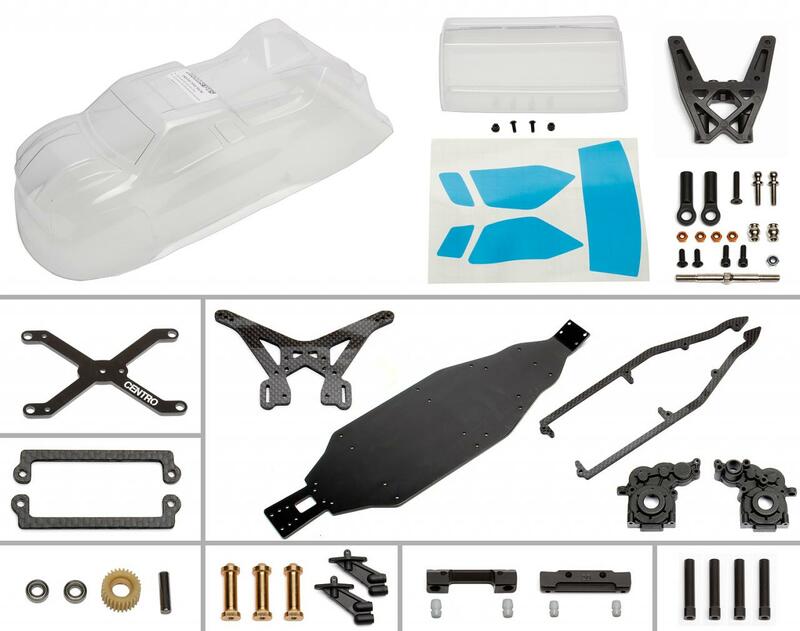 Team Associated has released a CT4.2 Mid Motor Conversion Kit for the RC10T4.2. The kit is designed specifically for very high-traction surfaces. The Centro CT4.2 Mid Motor conversion for the T4.2 features a hard aluminum one-piece chassis, and molded gearbox and bulkhead assembly that positions the motor in front of the rear wheel centerline, creating a centralized weight balance. Get complete details at CT4.2 Mid Motor Conversion Kit for the RC10T4.2.